For 10 years, researchers in the U.S., U.K., Sweden and Brazil have been studying whether they can treat multiple sclerosis with stem cells in patients who have relapsing MS. 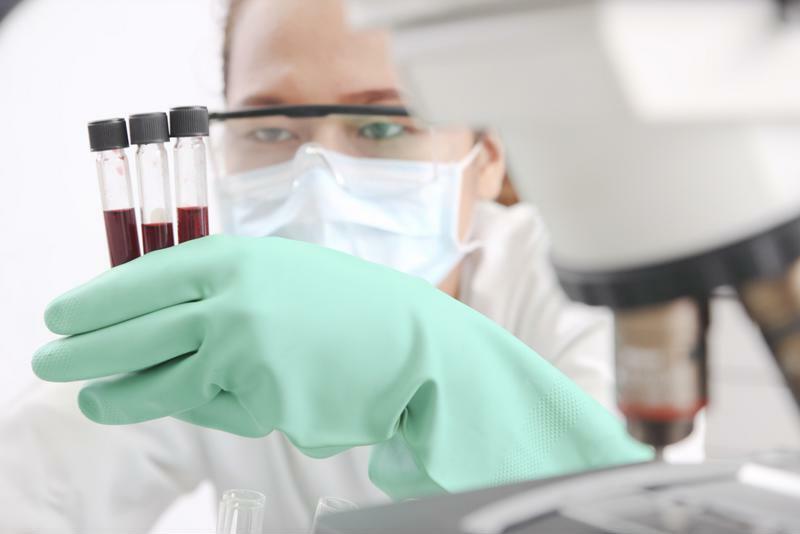 According to WorldHealth.net, the phase 3 trial uses a procedure developed by Dr. Richard Burt of Northwestern University Feinberg School of Medicine called autologous haematopoietic stem cell transplant. The process consists of collecting a patient's stem cells from their own blood or bone marrow, destroying diseased cells with chemotherapy, and then using stem cells to repopulate the body. Keep in mind, this is no easy task. What is MS and what are its symptoms? To better understand why this is such a groundbreaking study, we need to look at how challenging it is to treat MS. Many experts have gone back and forth on what exactly causes MS, but what they do know is that it's an immune-mediated disease. AARDA describes this type of condition as when the immune system begins to mistakenly identify and attack healthy cells. In the case of MS, the immune system attacks the person's central nervous system, specifically the nerve fibers and myelin. According to the National Multiple Sclerosis Society, symptoms are person-dependent. Someone might deal with fatigue and weakness while another person might have difficulty walking or feel numbness in certain limbs. MS can also worsen with time. The Society does point out that many MS patients have similar symptoms. For example, about 80 percent of people who have MS experience fatigue, which interrupts their ability to complete everyday chores. Scientists are working on ways to use stem cells to treat MS.
How does this research break new ground? One of the main issue doctors have in trying to find a permanent treatment for MS is not knowing whether it's an autoimmune-related disease – which differs slightly from immune-mediated ones – because they have yet to identify the antigen culprit. That's where this new U.K. study comes into play. In conducting this study, researchers are completely side stepping the task of identifying the rogue antigen, and instead are attacking the disease from a new angle. In fact, "attacking" may not even be the correct word because stem cells don't attack MS. Instead, they replace bad cells with new ones, or, as WorldHealth.net puts it, they "reboot" the immune system. "No FDA-approved study can say the same." WorldHealth.net also reported that the study is groundbreaking in that it's considered the first to put patients into remission. No FDA-approved study can say the same. According to BBC News, at Sheffield's Royal Hallamshire Hospital, about 20 MS patients were treated with the Dr. Burt's procedure, and many have experienced remarkable results. "To have a treatment which can potentially reverse disability is really a major improvement," said Prof. Basil Sharrack of Sheffield's Royal Hallamshire Hospital. BBC news noted that its Panorama program was allowed to talk to some patients who had HSCT completed on them. One of those patients was Steven Storey, a former athlete who had his career cut short after being diagnosed with MS. "I went from running marathons to needing 24-hour acute care. At one point I couldn't even hold a spoon and feed myself," Storey said, according to BBC news. When Storey underwent the HSCT procedure, his turn-around time for healing was otherworldly. In only a few days he wiggled his toes, and after four months, he stood without help, although he did still have to use a wheelchair. While the study has been ongoing for 10 years, more work has to be done. Dr. Neil J. Scolding and his team are conducting a separate trial to test whether adult stem cell treatments can effectively treat MS in patients who have progressive MS.